Purchase items online and pay by credit card. Purchases will be delivered to your child's classroom within one week when school is in session. A service charge applies to all credit card purchases. 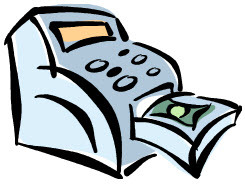 Or pay with cash or check by printing out your receipt and returning it to the school office with your payment. Your items will be delivered or given to you once payment is received. There is no service charge when you pay by cash or check. If you are buying more than one of the same item, you will need to enter each item into your shopping cart one at a time. If there are any problems with your order, please contact us at indialanticpto@mail.com.